Initially, it was believed that this new ransomware was a new version of an older threat called Petya, but it was later discovered that this was a new strain altogether, which borrowed some code from the original Petya, hence the reason for calling it NotPetya, Petna, or SortaPetya. The original Petya was a criminal enterprise for making money. This Petya/NotPetya is definitely not designed to make money. This is designed to spread fast and cause damage, with a plausibly deniable cover of ransomware. Like WannaCry, Petya/NotPetya/Petna/SortaPetya spreads rapidly through networks that use Microsoft Windows, this said, we feel it is important to answer some questions about; what is it, why is it happening and how can it be stopped? 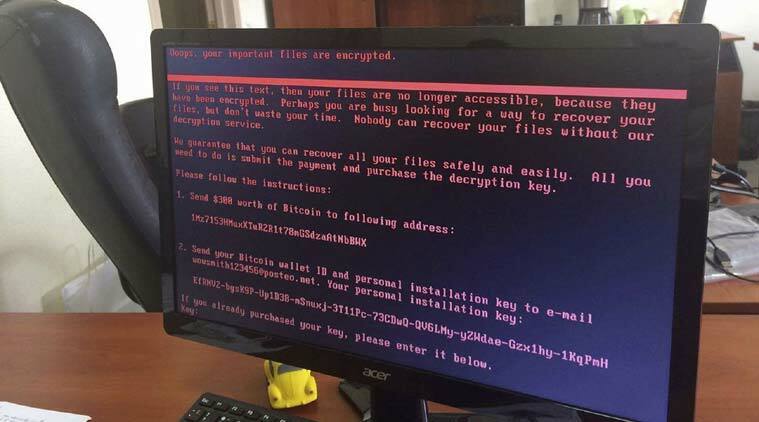 When a computer is infected, the ransomware reboots your computer and encrypts important documents and files and then demands a ransom, typically in Bitcoin, for a digital key(password) needed to unlock the files. If the victims do not have a recent back-up of the files they must either pay the ransom or face losing all of their files. With admin access, the Petya/NotPetya software can not only lift credentials out of the RAM to access other internal systems, it can rewrite the local workstation’s hard drive’s MBR so that only Petya/NotPetya starts up when the machine reboots, rather than Windows, allowing it to display the ransom note; it can also encrypt the filesystem tables and files on the drive. NotPetya uses AES-128 to scramble people’s data. Needless to say, don’t pay the ransom – there’s no way to get the keys to restore your documents. However, while this method is effective, it only protects the individual computer the perfc file is placed on, though it will still act as a platform to spread the ransomware to other machines on the same network. As it stands, the attack of the Petya/NotPetya ransomware is likely to be much slower than last month’s WannaCry attack, code analysis has revealed that the Petya/NotPetya attack did not attempt to spread itself beyond the network it was placed on. Because of this, several experts are predicting that the attack will not spread significantly further than it did unless it is modified. Researchers have so far been unable to locate a kill switch that would disable the ransomware attack entirely like they did for WannaCry. If you enable Microsoft to automatically update your computer, you should have the patch. For older versions of Windows that Microsoft doesn’t generally support, you can go to the Microsoft website and download the patches you need to protect your computers based on the version of Windows you have. You should always back up your computer just in case a ransomware attacks your computer so you have copies of your files in another location, like an external hard drive or in the cloud. Some of these attacks occur because of phishing emails. These emails are designed to make you think they are legitimate, but install malware on your computer once you open them. You should download protection programs that not only fight attacks but also notify you when there is a threat to your computer. These programs include firewalls, anti-virus programs, and other protective software. They can alert you if a malware is trying to encrypt your files and what they are doing to stop it. « Are Ugandan CSO’s FATF Compliant?